Apple today seeded the second beta of an upcoming iOS 11.4.1 update to developers, two weeks after seeding the first beta and a little over two weeks after releasing iOS 11.4, an update that introduced AirPlay 2 and Messages in iCloud. No new features were discovered in the first iOS 11.4.1 beta, suggesting it focuses on bug fixes and performance improvements to address issues discovered since the release of iOS 11.4. 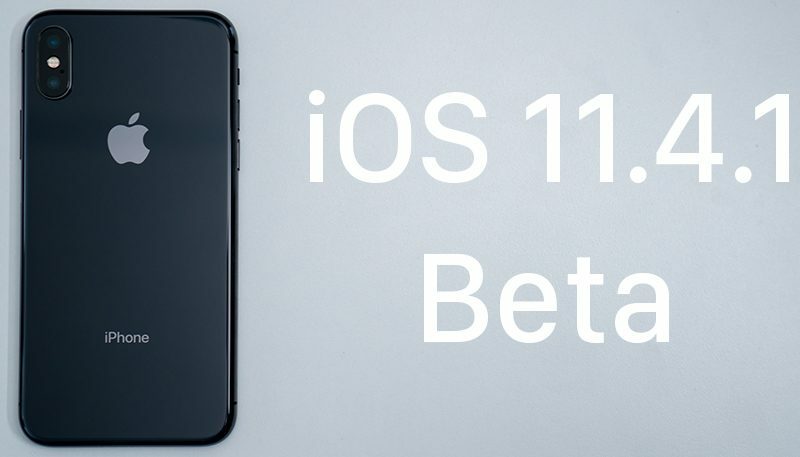 We'll update this post should we discover any new features in the second iOS 11.4.1 beta, but we're not expecting major changes now that Apple has shifted its focus to iOS 12, which is also available to developers for beta testing purposes. The issue that after every release since IOS 9, people complain of battery drain? Why do they waste resources on still updating 11, and 12 beta at the same time? iOS 12 won't be released to the public until the end of September. That's a long time to make the vast majority of iOS users who are on iOS 11 live with bugs and potential security issues. Remember that most users are NOT on the newest betas. The average user would be left to suffer for over 1/3 of a year if they didn't bother pushing forward with bug fixes and other updates to the current version of iOS. When is the 12 beta coming out for us public pleebs?? Apple said "later this month" in the press release for iOS 12, so definitely within the next couple of weeks. It's not a waste of resources. iOS 12 is months away from being ready for the general public. iOS 11 is in a stable state and, for the time being, what the overwhelming majority of people with iPhones will be running. If there are bugs in that version that need fixing, they'll be pushed out in an iOS 11 patch, definitely. The issue that after every release since the original iPhone, people complain of battery drain? I hope they fix a bug with cellular data I have since iOS 11.4. The phone shows full coverage (4 bars) but I have no cellular data. Toggling the airplane mode on/off helps for 10 minutes, then it drops the connection again. Agree. Battery issue is extreme on my iPhone 6 since 11.4. Drops 100% to 40% overnight. Spent hours this weekend trying fixes, including three Apple chats. they had me go through the pain of restore---did not help. Don't waste hours doing this!!!!! I've experience this on the 2018 ipad since updating to 11.4. I got this in March, I shouldn't have serious battery drain this early. I was all good until 11.4. Apparently, there's a possibly known issue with iOS 11.4 where if you're connected to 2.4 GHz WiFi, the battery does tend to drain fairly fast. It doesn't seem to be an issue with 5 GHz WiFi connections. Apple may address this with the iOS 11.4.1 Beta 3.